A record mild winter has kept the tributaries open most of the winter (with Lake Erie ice-free as well). 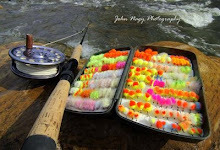 Steelhead fishing has been relatively good with fish spread throughout the entire system. The bigger tribs like Cattaraugus Creek in NY and the Grand River in OH have been fishable at times but the most consistent rivers (in terms of ideal flow/clarity) have been the medium to smaller size tribs. Expect spring runs (and spawning) to be earlier this year with steelhead in the tribs into April depending on how cold/wet the spring is. Ohio’s Little Manistee strain steelhead (which are primarily late winter/early spring runners) can stay in the Ohio tribs as long as May depending on the weather. 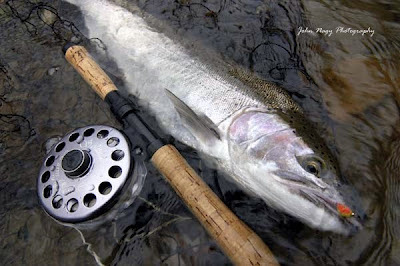 Spring steelhead in NY’s Cattaraugus Creek (which runs colder than the PA and OH tribs in the spring) are known to hang around well into June particularly during a cold spring. As of March 3rd, the Lake Erie water temperature (degrees F) off Toledo was 35 degrees, off Cleveland was 34 degrees, off Erie was 36 degrees and off Buffalo was 35 degrees. In Ohio, Cleveland Metroparks is now requiring fishing guides working on park district land to have a guiding permit which includes having minimum requirements such as liability insurance, first aid training and an annual permit fee of $100. 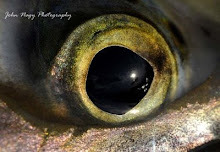 Presently, the state of Ohio has no state wide program for licensing fishing guides. Contact Michael Durkalec at md@clevelandmetroparks.com or (440) 331-8017 for more details on obtaining a permit. In Pennsylvania, 63,000 less steelhead smolts will be stocked this spring due to an infectious pancreatic necrosis virus (IPNv) infestation at several Sportsman Club Cooperative Nurseries (including the Roze, Wesleyville, Kendra and Fairview Mission Nurseries). The disease initially spread to the nurseries from domestic brook trout received from the Pennsylvania Fish & Boat Commission’s (PF & BC) Corry State Hatchery. All 63,000 steelhead were euthanized and used by a mink farming business. Earl Meyers, Leader of the PF & BC’s Coop-Nursery Unit said VHS virus concerns precluded them from being used for inland water stocking consideration. Chuck Murray, PF & BC biologist, related that this loss is not a major concern since 1 million steelhead will still be stocked this spring in the Pennsylvania tributaries (down 3%). Murray also says that natural variability’s in the Lake Erie watershed from year to year impact seasonal steelhead plantings in similar percentages. The IPNv infestation also led to a loss of 27,500 brown trout at the Coop-Nurseries. These browns were expected to be replaced by 57,000 Tylersville Hatchery browns (NY Rome Hatchery strain browns) and to be stocked this May. Last fall, 43,000 Rome strain browns were stocked by PF & BC, making for a total of 100,000 browns for 2012 (meeting the PF & BC’s goal for the Lake Erie near-shore/tributary brown trout fishery). In order to prevent future disease problems in the Coop-Nurseries across Pennsylvania (there are a total of 165), Earl Meyers has proposed a “Bio Security Plan” be developed (similar to the PF & BC’s state hatchery facilities plan which is already in place) to be followed by all Pennsylvania Coop-Nurseries. He expects it to be fully implemented within a year. In New York, the Seneca Nations of Indians is presently reviewing fishing regulations on Seneca Nation property (Cattaraugus Creek and Clear Creek on the Cattaraugus Indian Reservation would be affected). 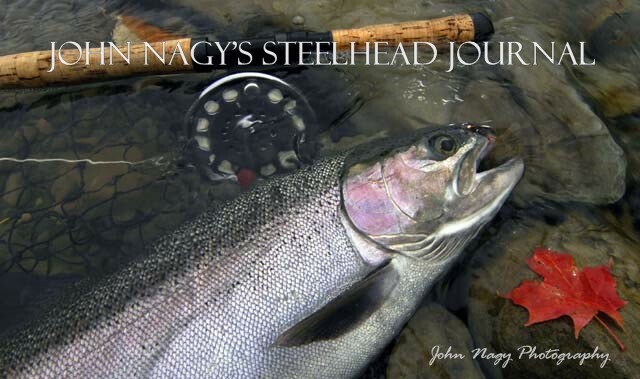 Proposals include lowering the steelhead limit from 5 to 3 fish, a ban of lead sinkers (including lead split-shot), a new steelhead season from March 1 to December 31 (which would close winter steelheading on the Indian reservation waters), more clearly marked boundary lines between Seneca land and New York State land and possibly renewing guiding on Cattaraugus Creek by non-Indians.